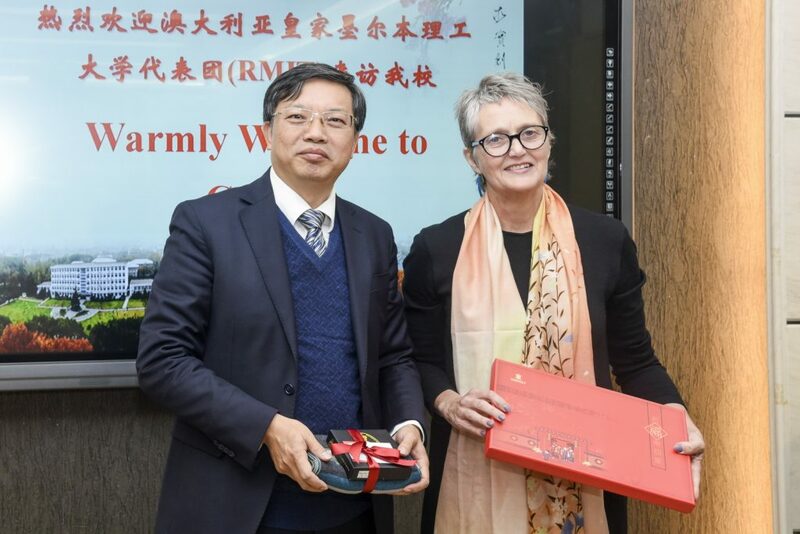 With the invitation from AEMG and partner universities in China, the delegation of RMIT University led by Prof. Andrea Chester Deputy Pro Vice-Chancellor of Learning & Teaching College of Design & Social Context and Head of the School of Education, Dr. Josephine Ng, Senior Lecturer of Design and Social Context School of Education, visited CCNU on 10th January. 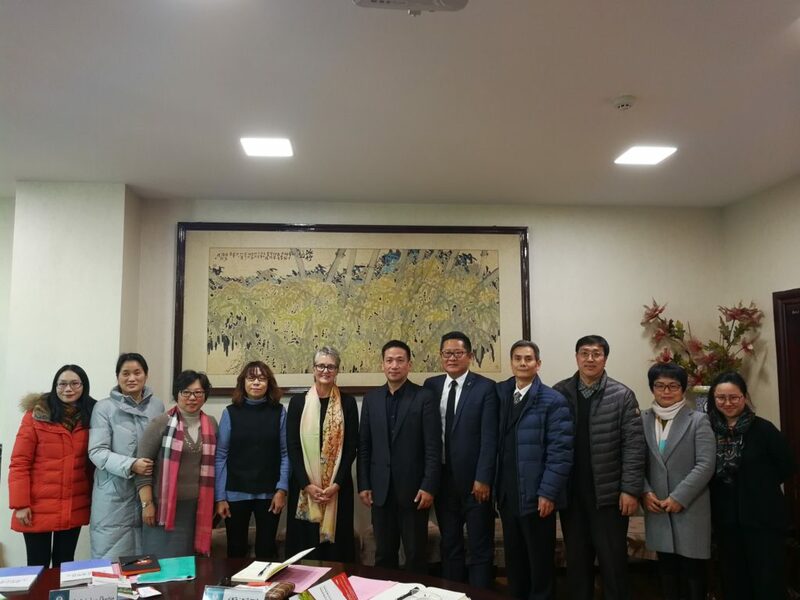 President of AEMG Mr. Roger LI and Ms. Janny WANG, Director General of AEMG, accompanied the delegation to visit CCNU. 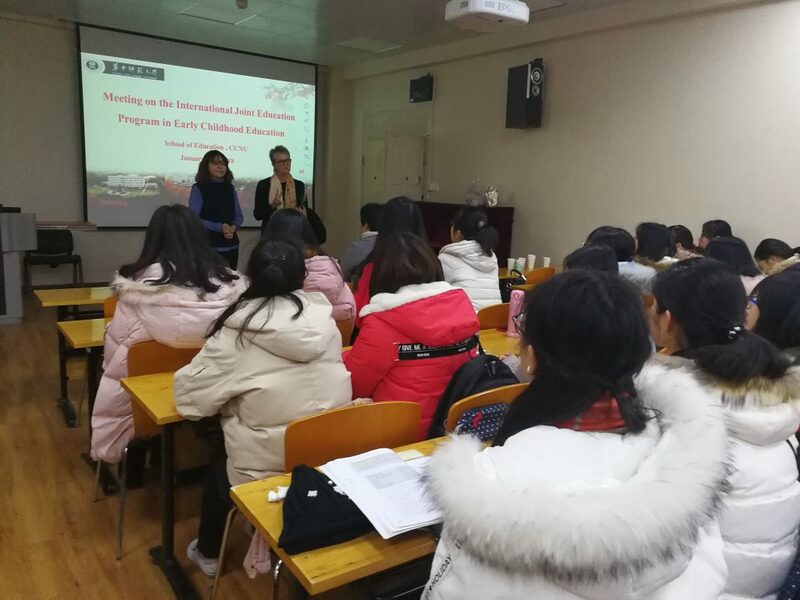 During the visit, CAI Yingqi, Associate dean of education college, warmly welcomed the delegation. The two parties had a detailed consultation on the cooperation and reached a broad consensus. Subsequently, the delegation meet with Mr. QIN Hong, Deputy Secretary of party Committee of CCNU, introduce the history of University. During the meeting, the two parties had a detailed consultation on the cooperation and reached a broad consensus. The Delegation meet and have a friendly discussion with students in the freshman and sophomore. The student was very pleased with delegation’s arrival and offered their own questions.